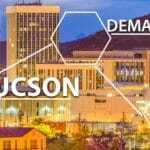 But in the arena of economic development, we at the Commercial Real Estate Group in Tucson feel Arizona should take to heart a recent report that says states need to work together and with the feds in order to thrive in the New Economy. Arizona already is in a good position among states for encouraging the innovation and entrepreneurship that will attract rising industries such as biotechnology, clean energy, information technology, nanotechnology and advanced manufacturing. It ranked 20th in The 2010 State New Economy Index: Benchmarking Economic Transformation in the States. With its new package of corporate tax incentives, job-training program and rebates for creating high-wage jobs, Arizona can become more competitive for business relocation and start-ups. And we see that effort doing good things for filling vacant and generating new industrial space, office space, warehouses and other commercial real estate here in Tucson and Arizona. But the report cautions that a competitive attitude among states is shortsighted. States competing against each other for businesses ignores the global competition that sends businesses and jobs overseas. Arizona does poorly in positioning itself in the global arena. Its lowest showing was in the category of Globalization, ranking 37th. In the indicators for this category, the state is average in producing goods and services for export, but 40th in the number of workers employed by foreign-owned companies. The state also has a poor showing in the educational level of workers who migrate to the state from abroad, ranking 49th in this indicator. Beyond these numbers, Arizona must embrace economic development on a regional and national scale. The report made some general points about how this can be done. States must stop working against each other in attracting businesses to relocate within their borders and instead work to bring businesses from abroad into the United States. Financial incentives should be used only for U.S. firms who are considering moving abroad. Legislatures should formulate budgets with a goal to invest in areas with potential long-term economic growth and innovation. State governments can leverage resources to secure federal grants, regional development partnerships and private and industry financial support. State fiscal, regulatory, trade and other applicable policies should support private-sector innovation. Taking a look beyond state borders will move Arizona toward the New Economy even faster than it can alone. Commercial Real Estate Group of Tucsonspecializes in representing tenants and corporate users across the United States. For more information, call 520-299-3400.